Howdy font fans! Searching for an authentic looking Western font? Designing a WANTED poster? 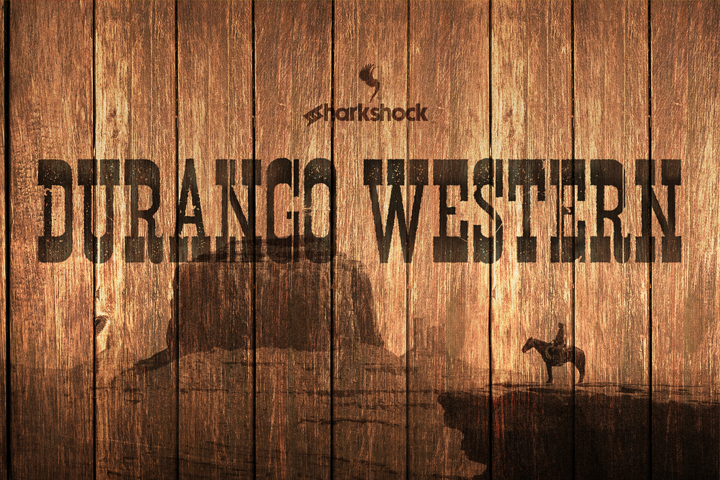 Well Durango Western is the new sheriff in town. This all caps display font is defined by its close spacing and thick serifs for a recognizable appearance. Use it for a movie poster, social media, or team logo. Basic/Extended Latin, European accents, punctuation, diacritics, kerning, and Cyrillic characters for Russian are included. The eroded version features 2 levels of distress between the uppercase/lowercase, contains a few alternates, and features less punctuation. Please check the glyph maps. The regular version does not contain alternates. Uppercase and lowercase are identical.